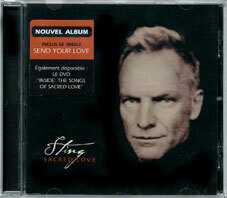 The French limited edition SACD is the EU version but with french sticker on front. 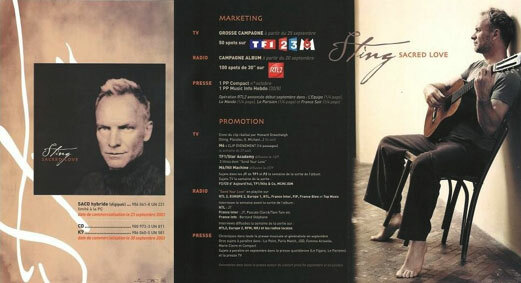 In France, the reissue is the EU one but with info sticker. 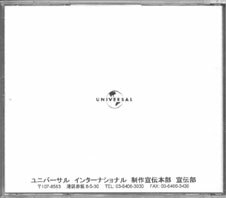 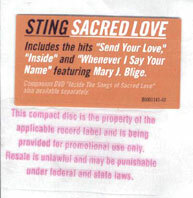 There is the same kind of sticker on the jewel case reissue but i have no scan of it. 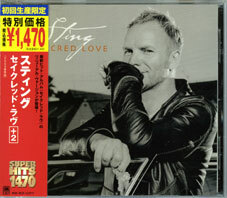 The Japan promo CD is as usual, the stock copy with promo sticker on back and writing on disc. 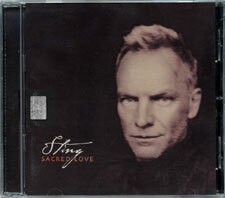 This strange 2 CD set have been issued my emi music resources and not A&M. 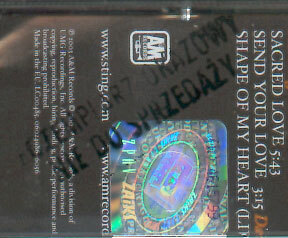 This promo CD is the stock copy ith promo clear sticker on case and puch hole on the bare code on the back. 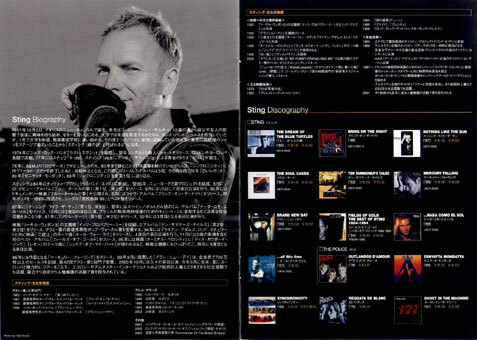 The good thing is that when the songs are played, it features the varied sounds... difficult to explain with my poor english... you can see sting line, kipper line, Jason line, all the lines of the track... and it also features the lyrics, like for a karaoke!! 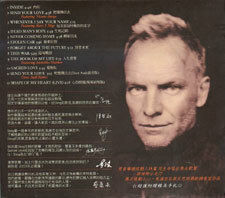 The first ever Argentina promo CD... Disc stats "Material de Defusion prohibida su venta"
The Taiwan issue comes with special 40 pages and slipcase. 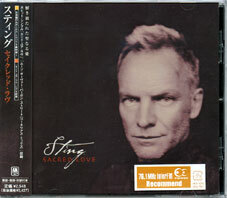 The Taiwan promo issues is the same as the commercial issue (see above), but the back CD case has a promo sticker and there is a promo stamp on disc. 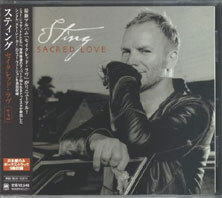 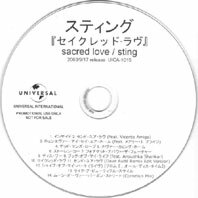 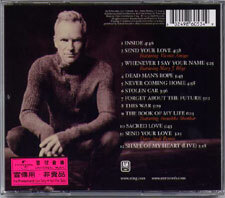 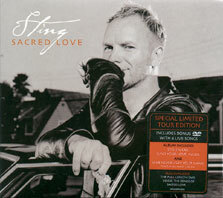 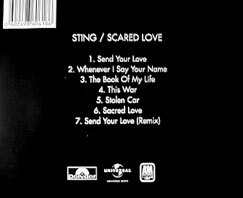 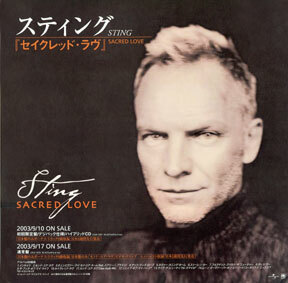 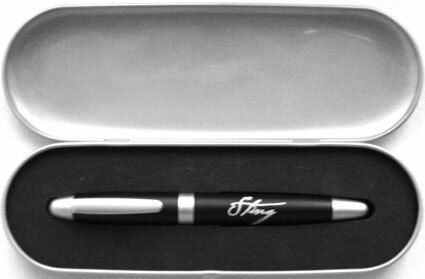 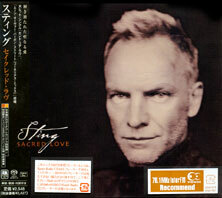 The "tour edition" reissue (which is not really tour edition as Sting's tour won't go in Taiwan) comes in jewel case with a slip case around. 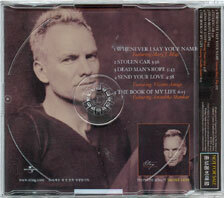 Whenever I say your name / Stolen car / Dead man's rope / Send your love / The book of my life. 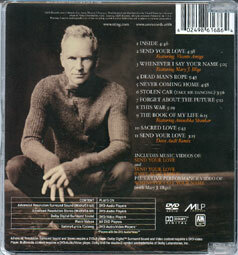 The title is written much bigger on front sleeve. 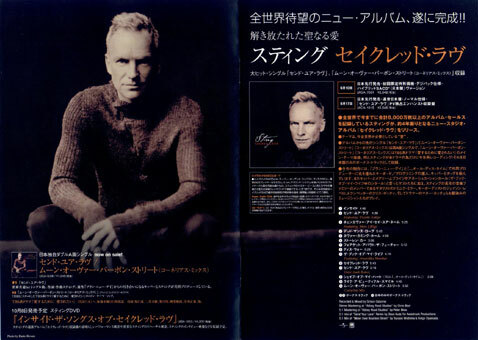 This tour issue was sold to me with a special flyer, but I am not sure it was sold with it in stores. 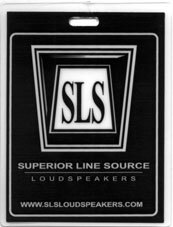 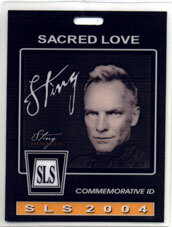 Stock issue with promo stamp on back. 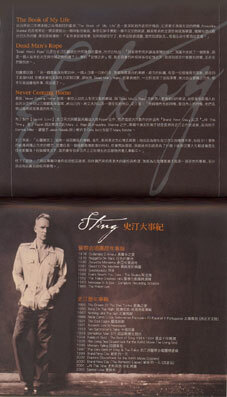 Thanks to Jim Chang for infos. 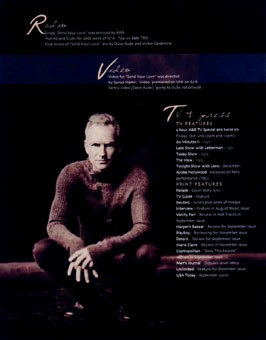 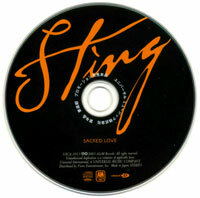 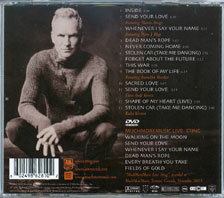 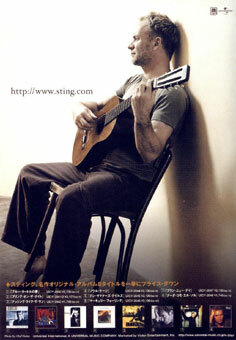 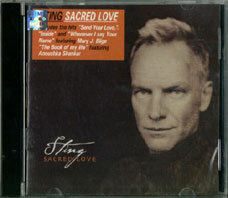 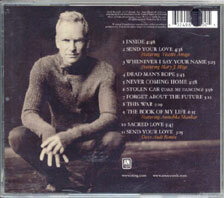 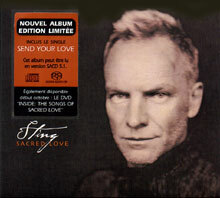 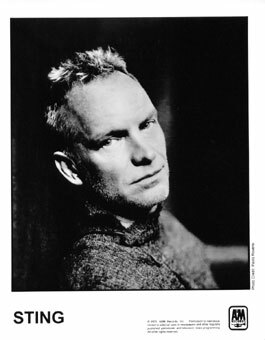 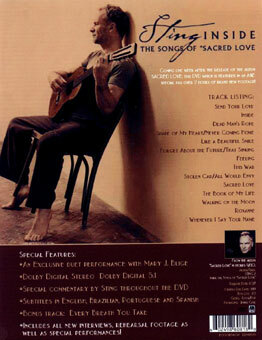 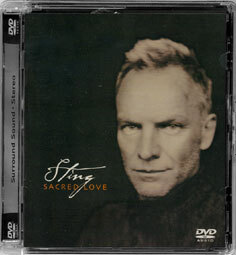 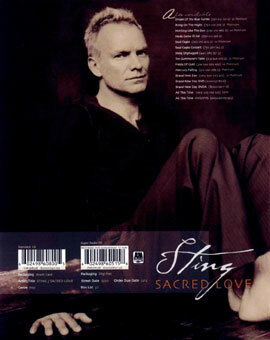 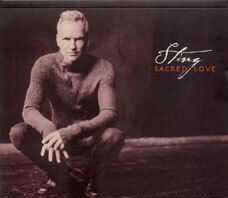 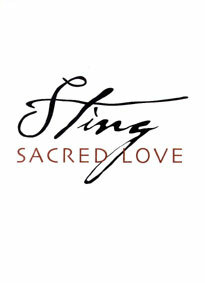 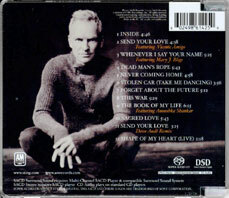 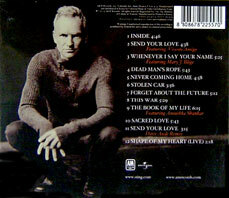 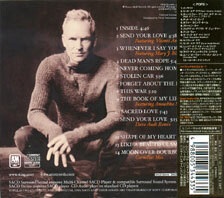 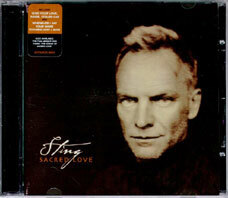 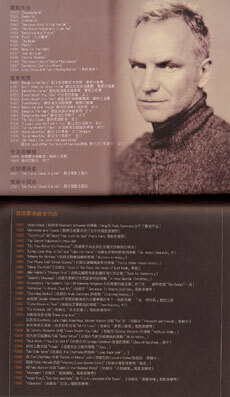 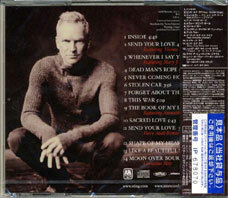 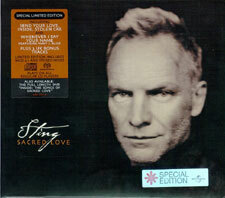 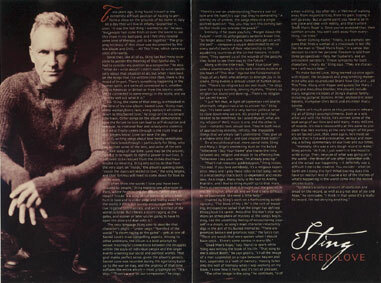 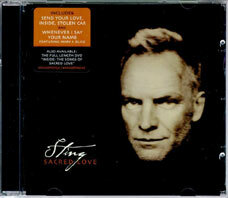 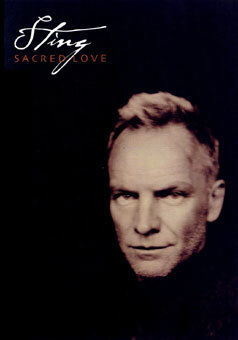 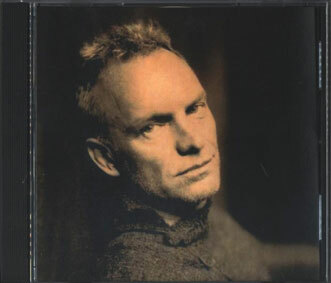 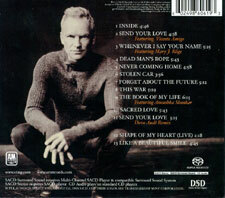 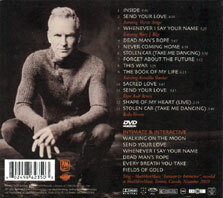 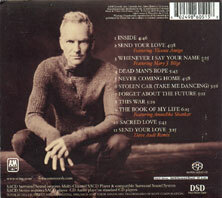 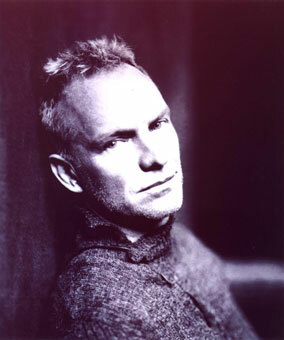 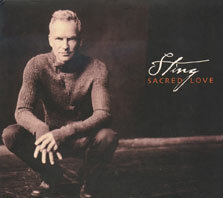 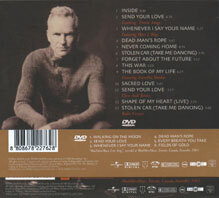 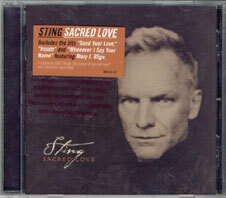 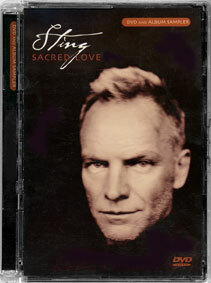 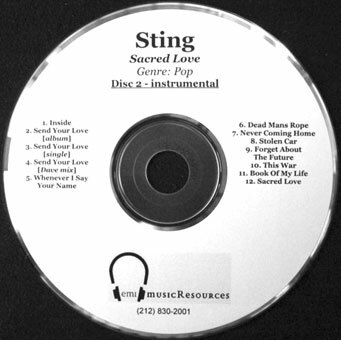 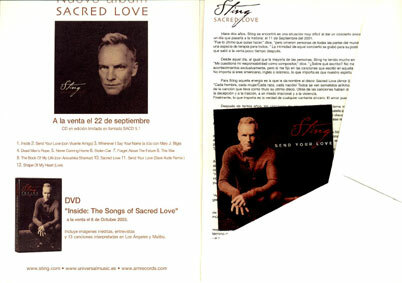 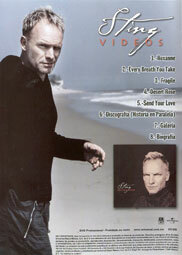 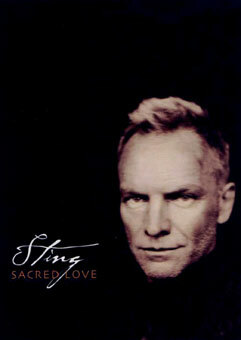 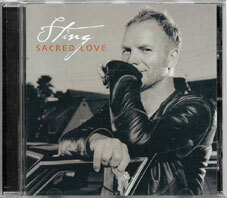 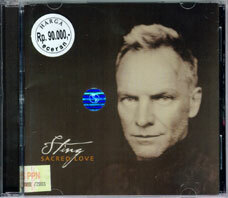 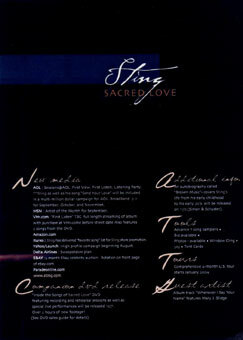 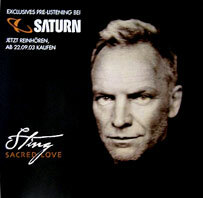 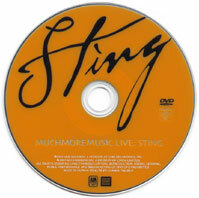 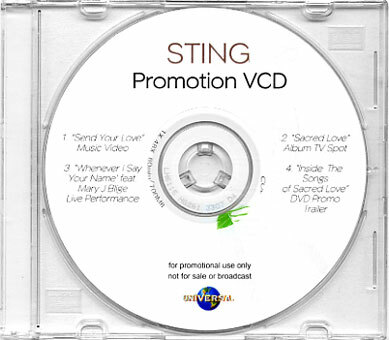 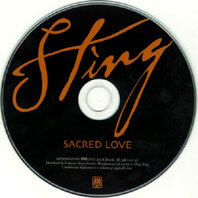 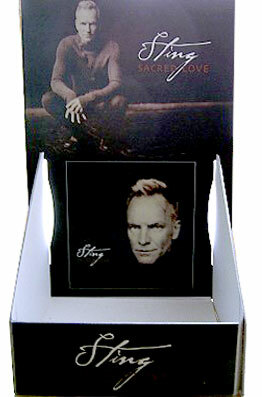 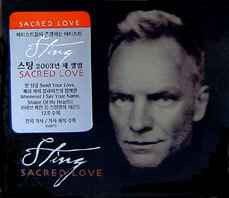 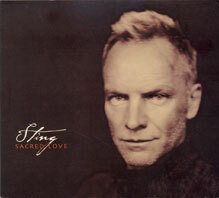 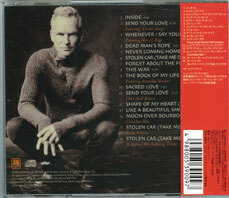 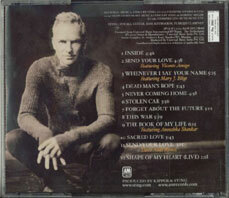 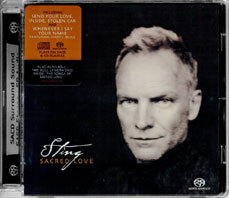 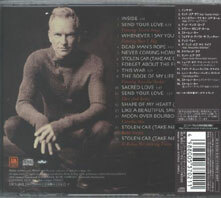 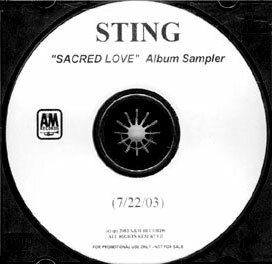 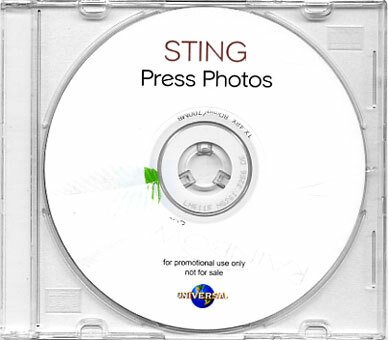 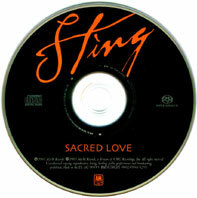 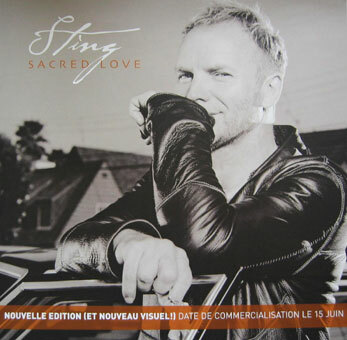 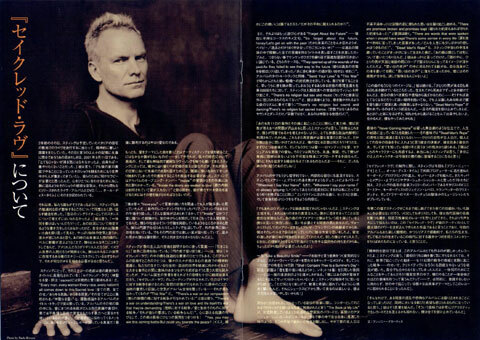 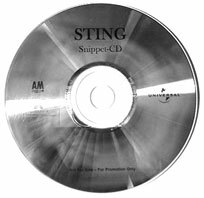 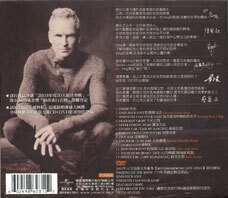 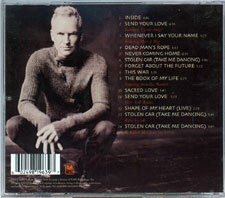 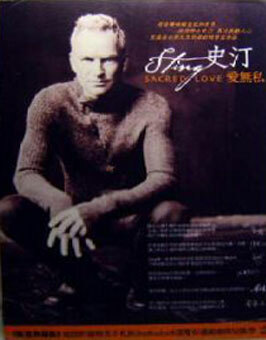 This special promotional CDr contains 25 high resolution pictures of Sting.